In the automotive industry, localization is everything. People search in their immediate area for dealerships with which to do business. It’s that simple. Unfortunately, most dealership websites are still built on platforms that don’t take localization properly into play. Google and Bing have a better understanding of market areas for dealer websites than ever before and they’re getting better at it every day. They don’t just look at your website. They look at external factors that help them to get an understanding of who you should be serving. The good news is that they’re very aggressive with their localization in that they allow dealers to spread their wings when their websites demonstrate that they know what they’re doing. They aren’t trying to limit you to just your area – that’s the website companies doing that. When proper localized search marketing techniques are applied and the websites are optimized to offer their products to the broader market area, Google and Bing will reward you. We handle everything from web listings to Schema.org markup and everything in between. 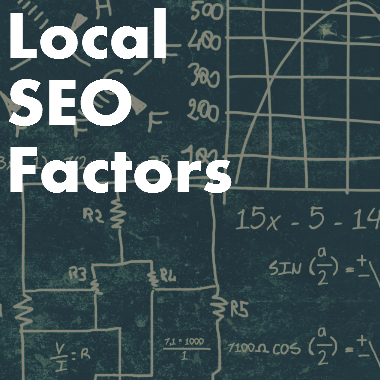 If you have a car dealer website, there’s a good chance that you’re not getting an ounce of localized SEO efforts other than the standard scripted bulk plays that do very little outside of getting people within walking distance who already know you. At Dealer Authority, we believe in helping dealers expose their websites and inventory to everyone within driving distance to the dealership. If you can sell them a car, we want them to be able to easily find you. Let us show you how we can help you get found by customers in your local area. Remember, “local” means within driving distance. There’s no limit other than reality. If you’re a valid option to people 150 miles away, then you should be found. If you’re in a busier metro and 50 miles away is a two hour drive, we tighten the reach. Our goal is to put you within realistic striking distance. It’s the way Google and Bing want it. It’s the way your customers want it. It’s the way you should want it.